I stopped by Assenti’s fresh pasta store this morning. I picked up some fresh Roma tomatoes from Mona Lisa across the street, to make a pomodoro+basilico sauce (yes, there’s olive oil). 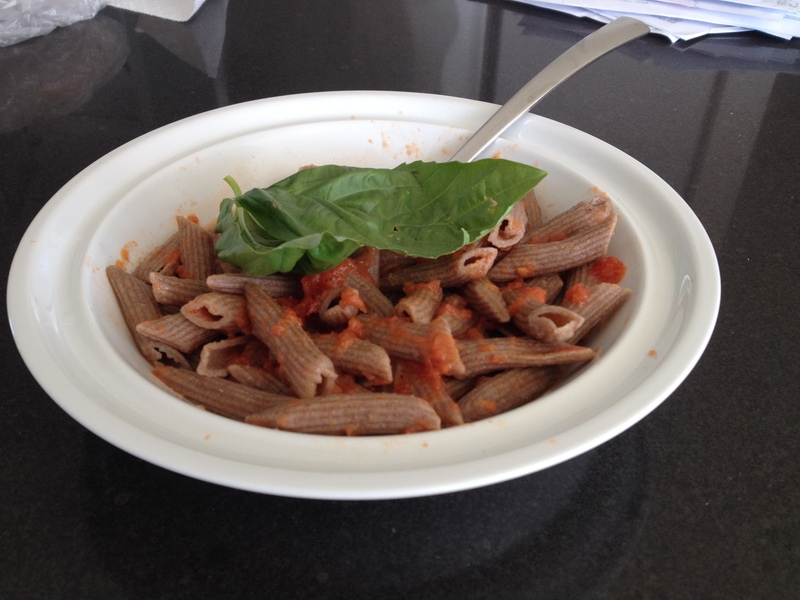 I ate 150 g of the whole grain penne, and puréed 6 tomatoes in the sauce.